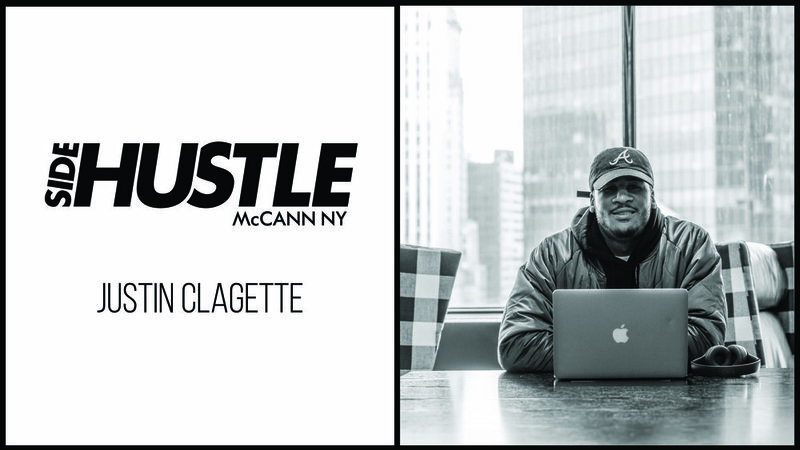 Justin Clagette joined the McCann family about four months ago as a member of the strategy team. He spends most of his day working on Chick-fil-A and National Geographic, but when he’s not working, his life revolves around music. Justin is a music manager for an up-and-coming rapper/singer. What exactly does a music manager do? As Justin describes it, he is “basically a chameleon.” His role is a combination of booking agent, executive producer and artist development. Justin’s favorite part about his side hustle is the time he spends “just creating” with the artist. They collaborate on brand building, which includes countless hours listening and finding production for projects, as well as making connections with other creatives in the space. Justin says its rewarding to see the person he is working with grow as an artist and further develop the brand they are creating together. So how did Justin get started down this path? Growing up, he was always surrounded by music. His aunt is a celebrity stylist and his uncle was big in the music business, so they would take him to recording studios and music events all the time. He grew up loving all things music, but specifically the power behind it. He loves how music acts as a connection between people and cultures, and how it evokes emotions within everyone. What’s next for Justin? While he’s a happy being a strategist at McCann, who knows…in the future, he might take on another artist or start his own talent management company.